When will be Bancroft next episode air date? 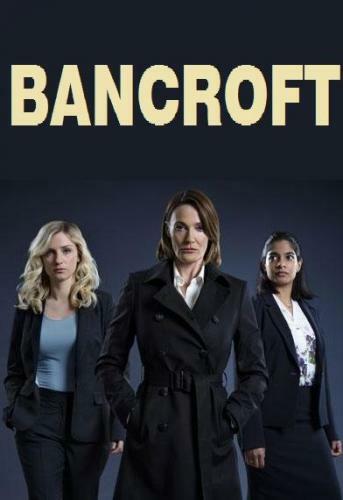 Is Bancroft renewed or cancelled? Where to countdown Bancroft air dates? Is Bancroft worth watching? The formidable Det. Superintendent Elizabeth Bancroft is leading the charge against the violent Kamara gang. Meanwhile, DS Katherine Stevens is given a cold murder case. In 1990, Laura Fraser was stabbed 18 times in frenzied attack at home. As Elizabeth and Katherine's paths cross for the first time, Katherine finds that there's more to the Fraser case than it seems – and Elizabeth has some secrets in her past which may prove difficult to hide. Bancroft helps Katherine and Anya with the Fraser case, but they are struggling to find any worthwhile forensic evidence. Katherine and Joe's relationship progresses, whilst events take a grisly turn for the Kamara family – forcing Bancroft to offer Daanish a deal. Laura's former husband Tim Fraser is reluctant to help with Laura's cold case, but an unexpected visit changes his mind. Katherine and Anya make some game-changing discoveries. Bancroft is faced with a startling blast from the past, which brings the events from 1990 back to the surface. Meanwhile, Katherine wrestles with twists and turns of the new information she is uncovering. Bancroft secures Zaheera in safe accommodation and Daanish fulfils his part of the deal. Anya makes a surprising visit to an old friend. Katherine is faced with a chilling truth. Katherine and Anya make a determined push to get to the bottom of the Laura Fraser case once and for all, hatching a plan to get the DNA evidence they desperately need. Bancroft plans and executes a massive sting operation against Athif Kamara, but all doesn't go smoothly. Bancroft is forced to reveal carefully-kept secrets about her past, and finally we find out what really happened to Laura Fraser – and why. Bancroft next episode air date provides TVMaze for you. EpisoDate.com is your TV show guide to Countdown Bancroft Episode Air Dates and to stay in touch with Bancroft next episode Air Date and your others favorite TV Shows. Add the shows you like to a "Watchlist" and let the site take it from there.